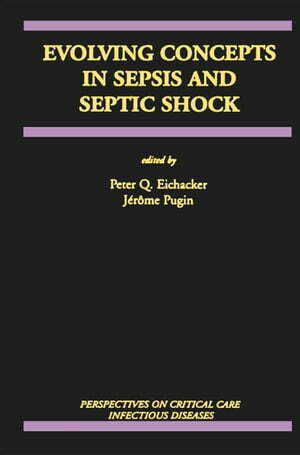 Collins Booksellers - Evolving Concepts in Sepsis and Septic Shock by Peter Q. Eichacker & Jérôme Pugin, 9781461515814. Buy this book online. Much research over the past 30 to 40 years has shown that the inflammatory response, while critical for host defense during microbial infection, may itself play a central role in the pathogenesis of sepsis. Although key mediators responsible for this injury have been identified, efforts clinically to augment our conventional antimicrobial and supportive therapies during sepsis with agents modulating the inflammatory response have been unsuccessful. As a result, the mortality associated with this lethal syndrome, especially when complicated by shock, has remained persistently high. Unfortunately, during this same period of time, the incidence of sepsis has accelerated as other fields of medicine have relied increasingly on therapies that predispose to infection. While frustrating, overall this experience in the field of sepsis has not been without value. Most importantly, it has helped define on several different levels the complexity of the septic patient. Recognizing and addressing this complexity as discussed by each of the contributors to Evolving Concepts in Sepsis and Septic Shock may now provide new inroads into the treatment of sepsis.